PetsCell – Call your pet and… bark? It has some high tech attributes like being waterproof and having a built-in GPS so whenever the dog runs away from you because of a beautiful female dog he saw, you know that the GPS will be useful – can be tracked online or on a 3G cellphone. The device is suppose to be attached to the dog’s collar and there is a special number you can call if you’d like to have a minute or two of conversation with the animal. My tip is: try to bark and not speak human language because he won’t understand. 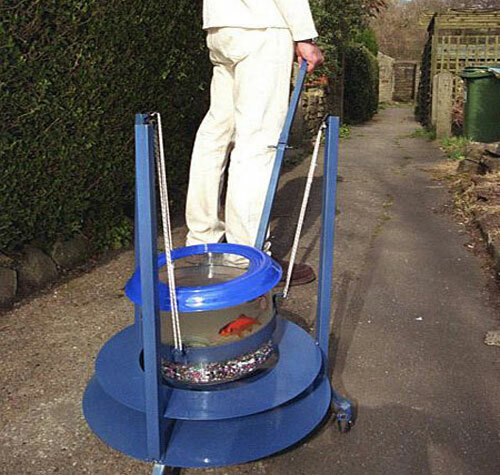 Mick Madden, a metal worker from Huddersfield, has invented a goldfish walker – so he can take his pets Malcolm and Ethel out for a stroll. 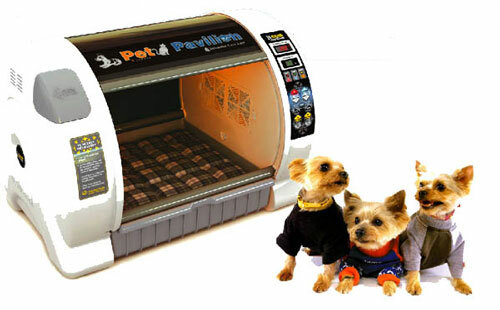 Luxury Pet House Or Doggie Death Chamber? The Korean manufacturer Autoelex has equipped this penthouse for pets with some impressive features. Though it looks a little cramped, it has temperature and humidity control, antibiotic air-filled environment, and carbon filter deodorizer. MTI Whirlpools’ Jentle Pet Spa is a Hot Tub for Dogs!!!. 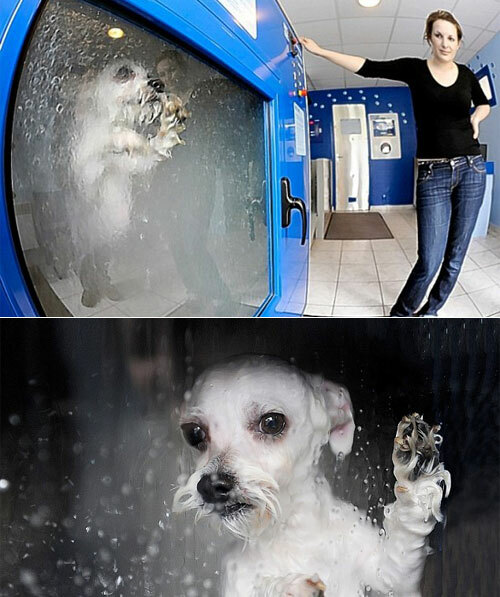 Not only is this tub dog-sized for Fido’s bathing pleasure, but it comes with five massaging whirlpool jets. (I don’t even have massaging jets in my bath tub, grumble grumble.) Available extras are your choice of 50 colors and a Fill-Flush whirlpool cleaning system. I wonder if that takes care of the dog fur that doubtlessly gets stuck in the jets? The StarMark Clicker Training System is based on the scientific principles of Classical and Operant Conditioning, 2 proven and well-respected methods of modifying your dog’s behavior and enhancing his training experience. Teach him to repeat behaviors that lead to rewards. The ergonomic Clicker fits comfortably in your hand and features an easy-to-press raised button and a stainless steel rust-resistant clicker element. To reward your dog, click the button and give your pet a treat, so he will learn to associate that action with a reward. Use the included step-by-step training guide for complete details. The guide is approved by the Training Directors of Triple Crown Academy. 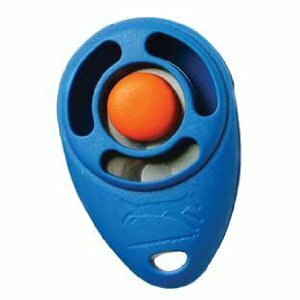 Clicker attaches easily to a keychain or lanyard, so you can always have it close by. PoochPants are an innovative new dog diaper that combines the absorbency and odor controlling properties of PoochPads into a comfortable and easily managed diaper construction. 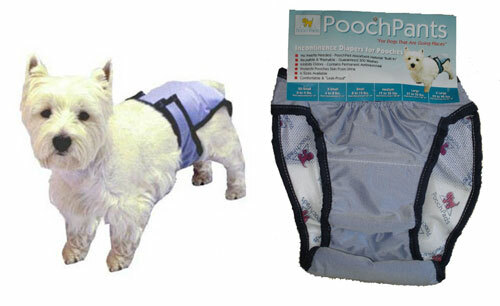 PoochPants require no inserts and are completely washable and reusable (Guaranteed for 300 washes!). Each PoochPants contains Microfine fiber technology and a built-in antimicrobal agent to control odors. 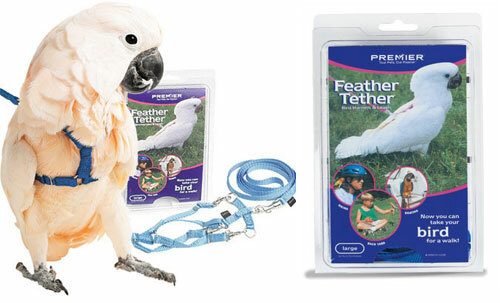 Feather Tether Bird Harness – Now you can take your bird for walk! Developed by a avian veterinarian and prevents the tragedy of fly-away. Ideal for biking, boating, hiking, picnics, etc. The harness can be fitted for perching or walking and is adjustable. Petite size bird match: Cockatiels, etc. 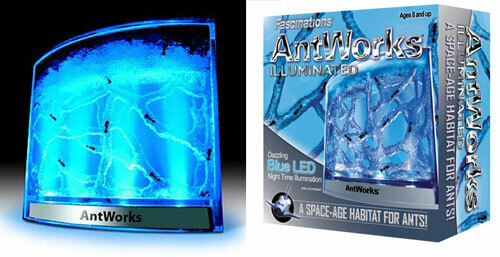 The AntWorks Illuminator is the Perfect Bedside or Shelf Accessory. Designed to illustrate many magical aspects of our world, Fascinations products will cause you to react with amazement and ask “What makes that work?” or “How is that possible?” By working with engineers, scientists, magicians and most importantly, kids young and old, Fascinations is proud to bring you the best in truly unique toys and gifts. So come on inside and see what amazing creations we’ve got just waiting for you. 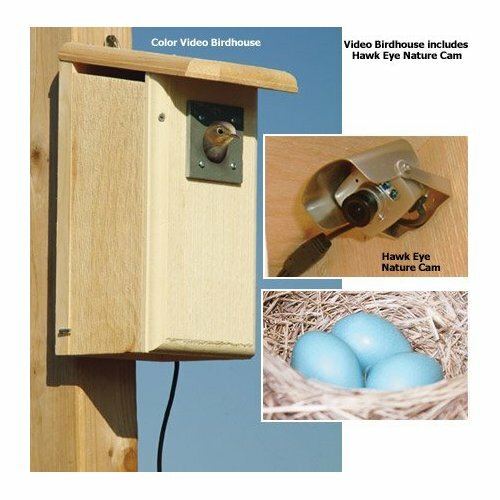 Features: Miniature video camera for wildlife viewing. Connects to the television. Real-time, color video. Hardwired with 100ft of cable. Infrared night vision. Built in microphone. Weather shield allows outdoor use. Miniature television camera that brings the great-out-of-doors right into the living room! Comes with RCA cables and can plug it into the computer that has an audio video card and if not can get an adapter. From Japan, land of the kookiest creations for dogs and cats, the Bowlingual the Meowlingual, electronic “translators,” let you know what your dog and cat really mean when they speak. They are programmed to “understand” the sound of six emotions your dog or cat may feel when he elicits a bark or a meow. These emotions have been codified into the Animal Emotion Analysis System. 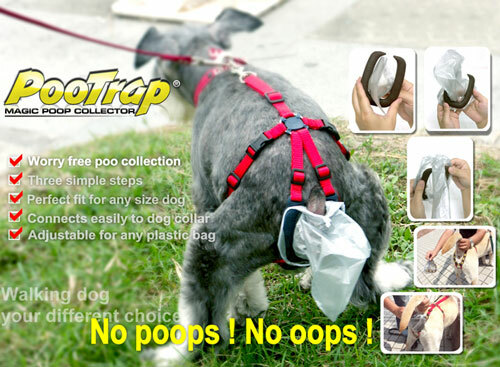 The PooTrap is supposed to transfer the responsibility for picking up after your dog from you, the owner, to the dog, the pooper. I won’t go into a long spiel here: it’s an awkward, cumbersome, humiliating, and totally stupid pet product. 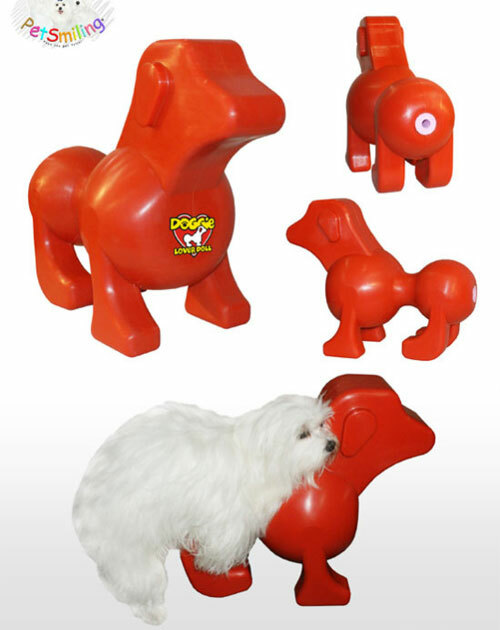 Pet Zoom Pet Park is an indoor pet potty made of a synthetic surface that’s similar to grass. 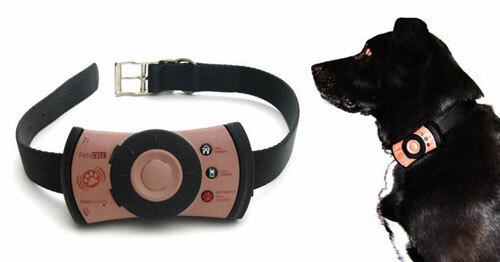 It prevents pet accidents by giving your dog a designated place to urinate instead of using your carpet or furniture. Pet Park’s triple stage protection allows fluid to pass through the anti-microbial mat. The mat stays high above the liquid in the collection tray because of Pet Park’s elevated grid system. It can hold an entire gallon of liquid. Simply empty the collection tray at the end of the day. 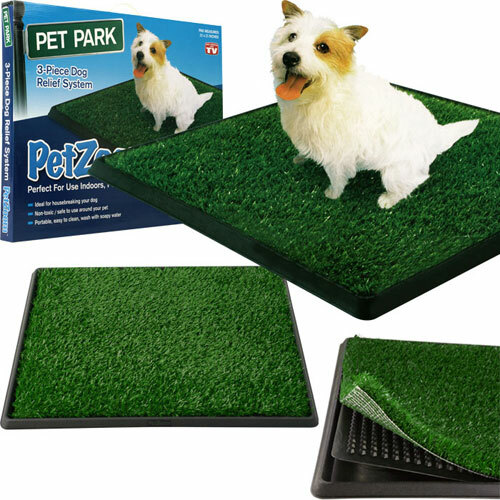 Pet Park’s reusable surface stays fresh and sanitary. It rinses clean and stores easily. Now, you don’t have to spend lots of money on expensive dog walkers or messy wee wee pads. With Pet Park, you’ll be happy your dog went in the house. 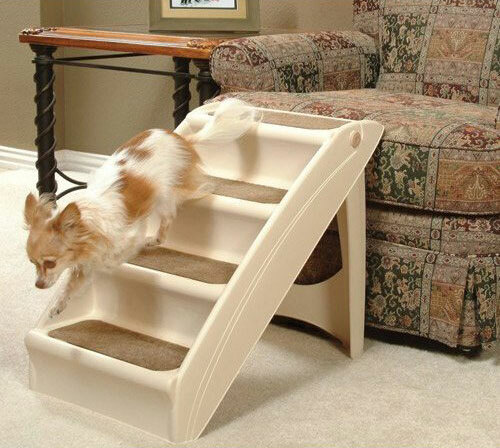 Let your dog reach new heights with the Solvit PupSTEP Plus Pet Stairs. Perfectly sized for couches or beds, the PupSTEP Plus is a great way to help your pet reach her favorite spot for sleeping or snuggling. Safety siderails built right in let your pet climb up and down with confidence. Non-skid feet keep the stairs perfectly anchored. Can also be used outdoors to help your pet climb into your truck or SUV. Very lightweight at only 5 pounds, the PupSTEP Plus supports more than 120 pounds. No assembly required. Folds down for easy storage. Easy to clean with mild household cleaner. 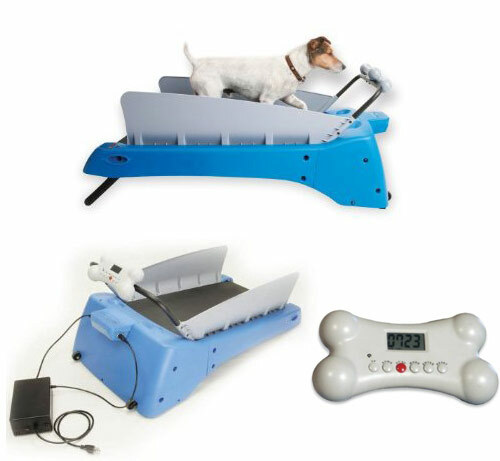 Ideal for small to medium-size dogs because of the size of the individual steps. Aren’t dogs supposed to walk on a leash? The last time I checked, babies belong in strollers. Dogs belong walking along quietly beside (or just ahead of) their owners. Since when did the little cuties belong in a stroller of their own? 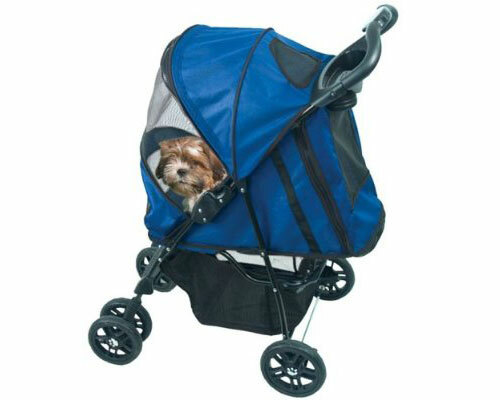 Anyway, according to manufactory, Pet Gear strollers are a great way to take your pet with you on a long walk through the park, a walk around the block, or maybe even shopping at the mall. They safely contain and protect your pet wherever you go! 26 Experiences You’re Sure To Have As A New Pet Owner | シ最愛遲到. !